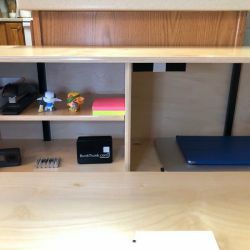 Wireless audio: Folks like their music, podcasts, audio books and other sonic entertainment and information, and increasingly they the delivery method to be small, lightweight and long-lasting. 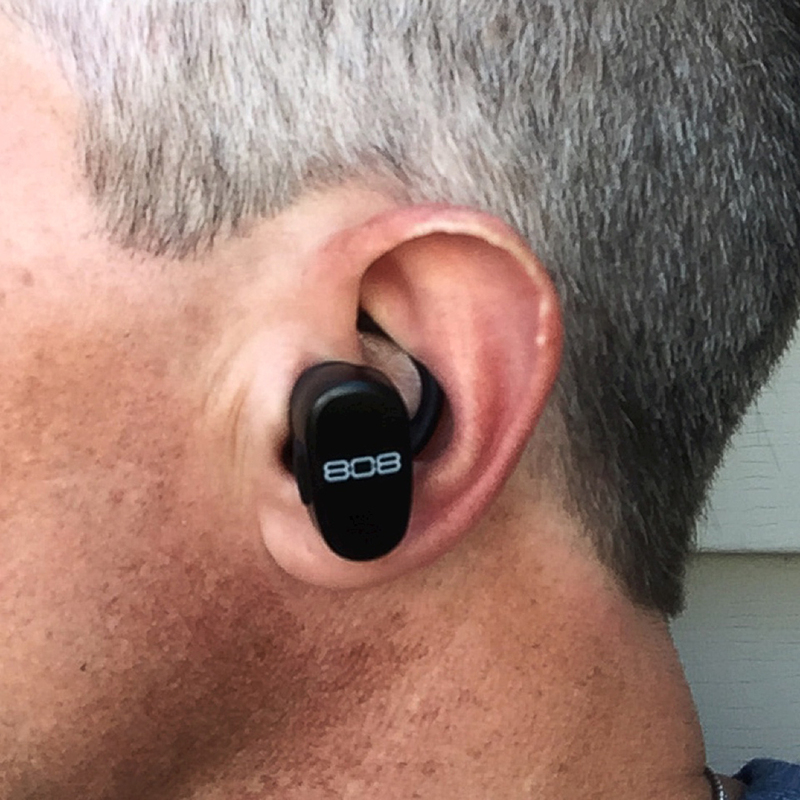 I’ve reviewed several models of Bluetooth earbuds here at The Gadgeteer over the past few years, and I’m still searching for that elusive set that works best for my needs. I want to wear them while I exercise, and I work out pretty hard, so my “perfect” pair would have some fairly heavy duty requirements. 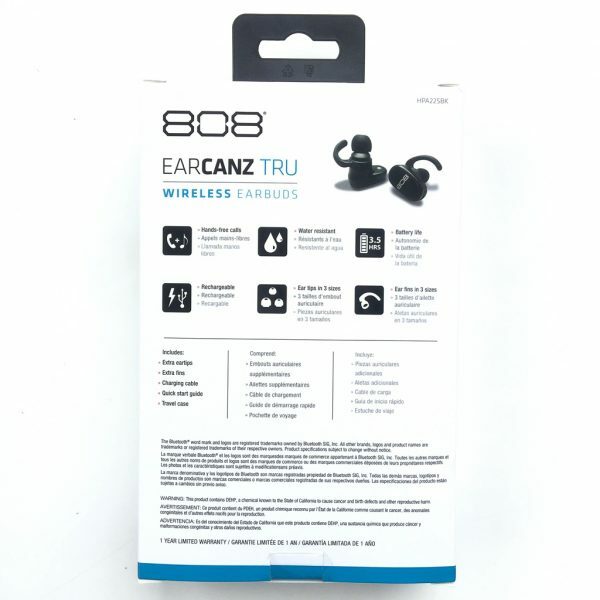 When Julie offered the 808 Audio EarCanz TRU Wireless Earbuds for review, they had some features that I thought might work well for me. Well, did they? Let’s find out! Gadget on! 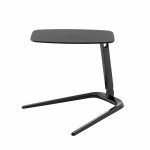 NOTE: No other technical specs for this product were provide by 808 Audio, either on their site or in the documentation included with this product. The 808 Audio Earcanz TRU Wireless Earbuds arrived in fairly standard packaging, namely a light cardboard outer box. The front of the box included an image of the product contained inside. The rear of the box included a listing of features of the product. One aspect of the packaging I really appreciated was that, upon opening the front cover, there were two transparent windows that show the included earbuds themselves, as well as their carrying case. As I’ve stated in other reviews, I like when the manufacturer includes in the packaging a method for the prospective buyer to actually see the item(s) contains inside the box. Inside the main box was a plastic tray that included cavities for the earbuds as well as their carrying case. The additional earbud tips and other accessories were contained within the case. 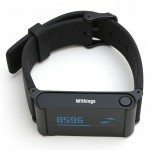 More on those accessories below. 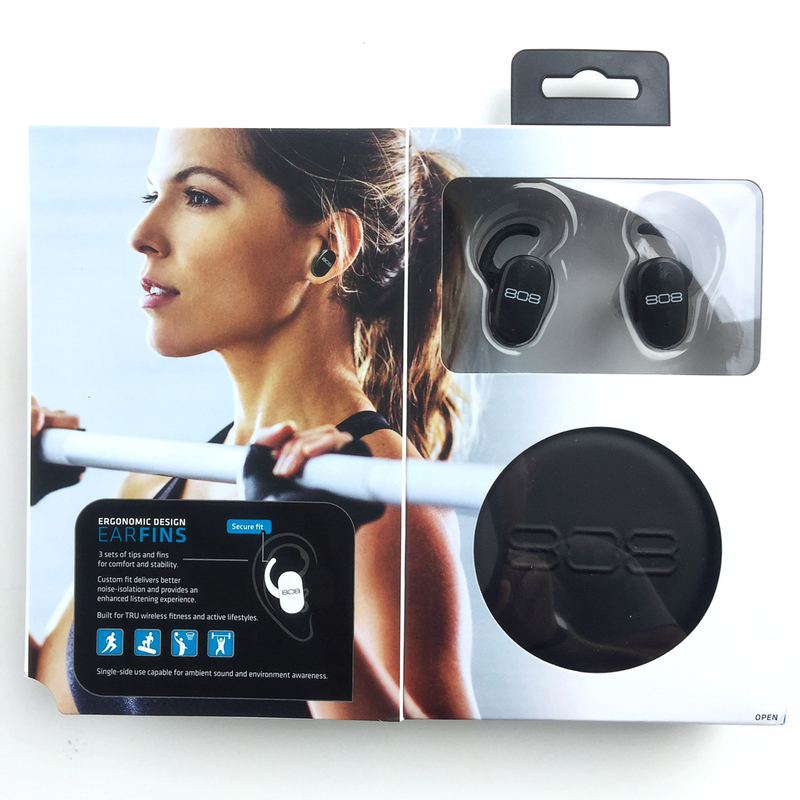 My first impression of the earbuds was that they seemed fairly compact and very lightweight. I’ve discovered that both of these features are important to me in a set of wireless earbuds, because larger, heavier models tend to fall out of my ears earlier when exercising, which would be my main use for these earbuds. Above, I’ve laid out the earbuds’ accessories. 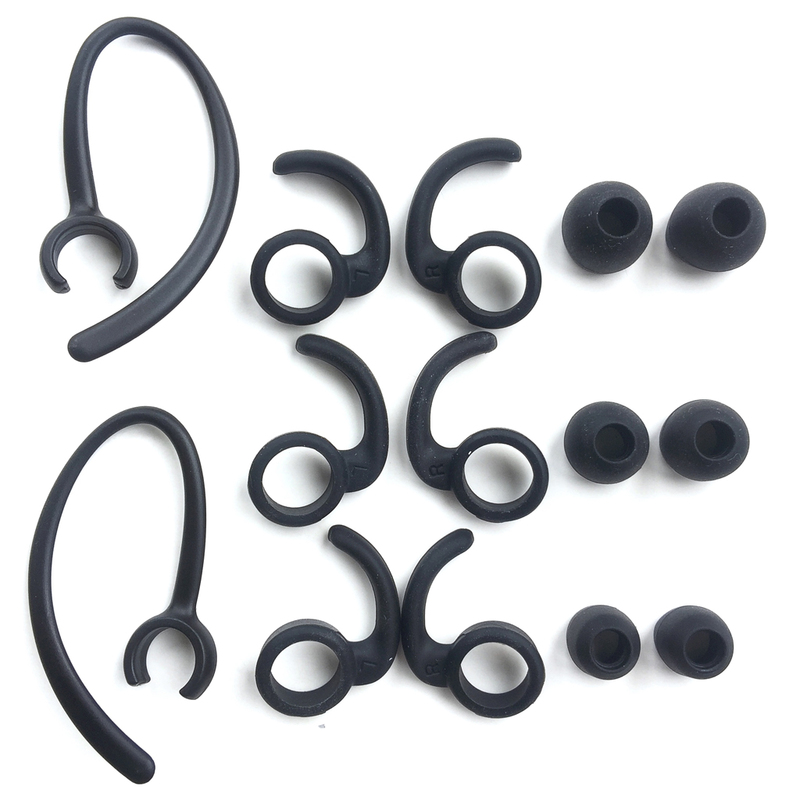 On the left, one set of harder plastic ear hooks. 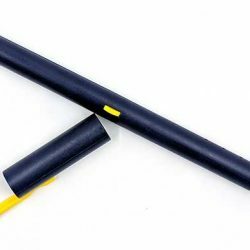 These are mean to “hook” over your outer ear to stabilize the earbuds during activities. In the middle, three sizes of soft silicone ear fins. These are smaller than the ear hooks and are mean to “lock” into the curvature of your outer ear canal to help hold the earbuds in your ear. These were actually fairly useful for me. On the right, three sizes of silicone earbud tips. I found that the ear “hooks” didn’t work well for me, but the combination of the largest-sized ear fins and tips did seem to work quite well. In the photo above, you can see the configuration of the buttons on the earbuds. I found their orientation to be a bit bizarre. 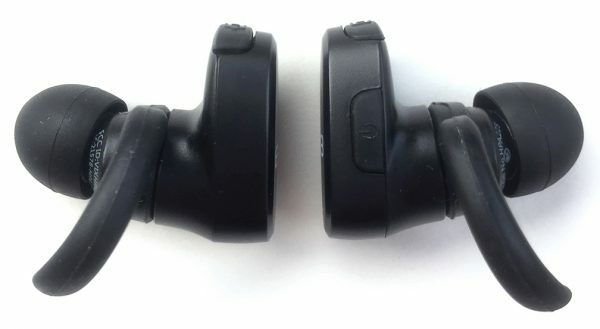 As you can see, the buttons were on the rear of the right earbud and the front of the left earbud. Not sure why this design choice was made, but it seemed very counter-intuitive from a human factors design standpoint. In any event, these buttons control all of the essential functions of the earbuds. While listening to music via your phone, a single press of either button will pause or play music and a quick double-press will skip a track. There are no on-board volume controls, so volume must be controlled with your phone. The earbuds also have phone functionality. 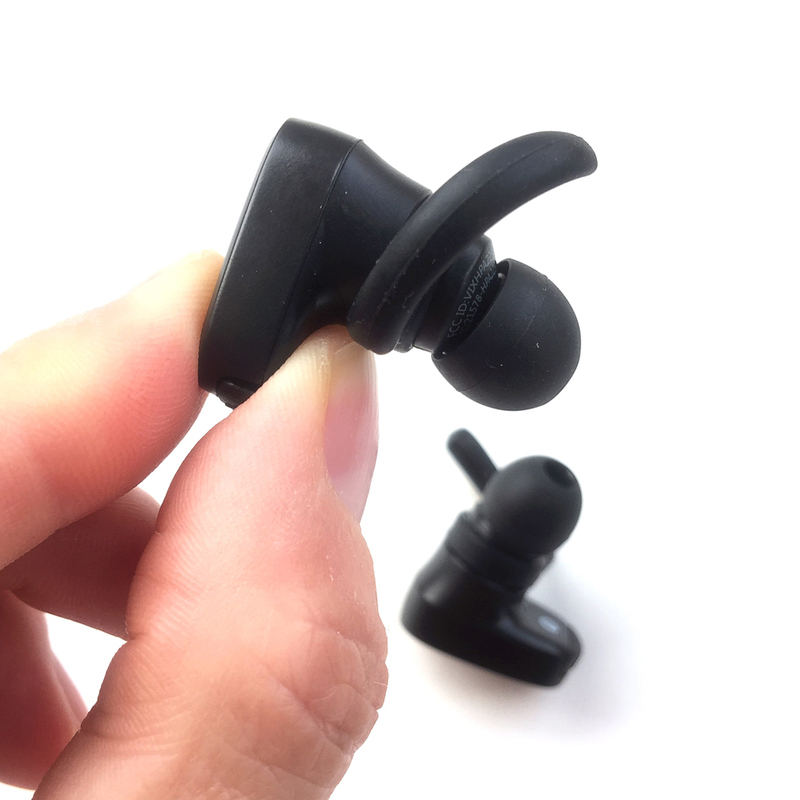 The right earbud rings when an incoming call occurs and it also has a tiny microphone for answering calls. A quick press of the button will either answer or end the call, while a long hold will decline an incoming call. 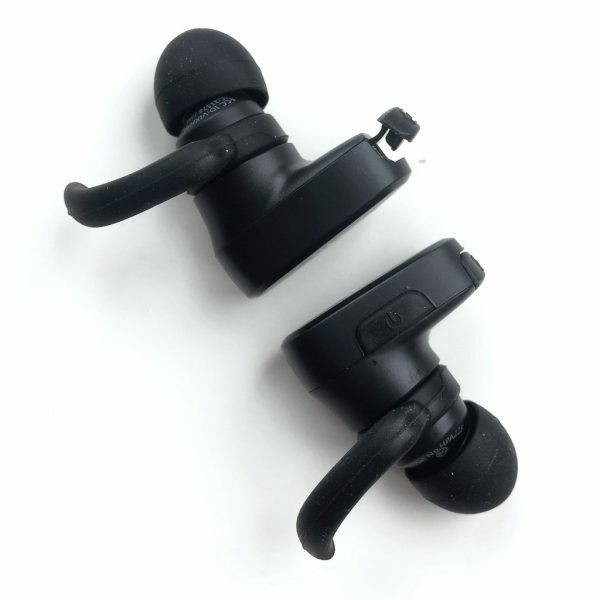 Additionally, the right earbud can be used individually as a Bluetooth headset. The quality of the phone call from the caller’s end seemed poor. I took a few calls on the earbuds and the caller had difficulty hearing me, even with relatively quiet background sound levels on my end. Above, you can see the charging ports on the earbuds. On the top one, I’ve popped open the charging port’s cover. 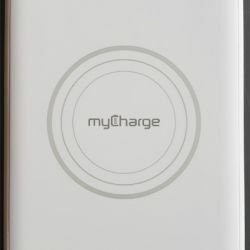 Because these covers are made from silicone, they lock in and protect the charging ports themselves, providing a water-resistant seal. 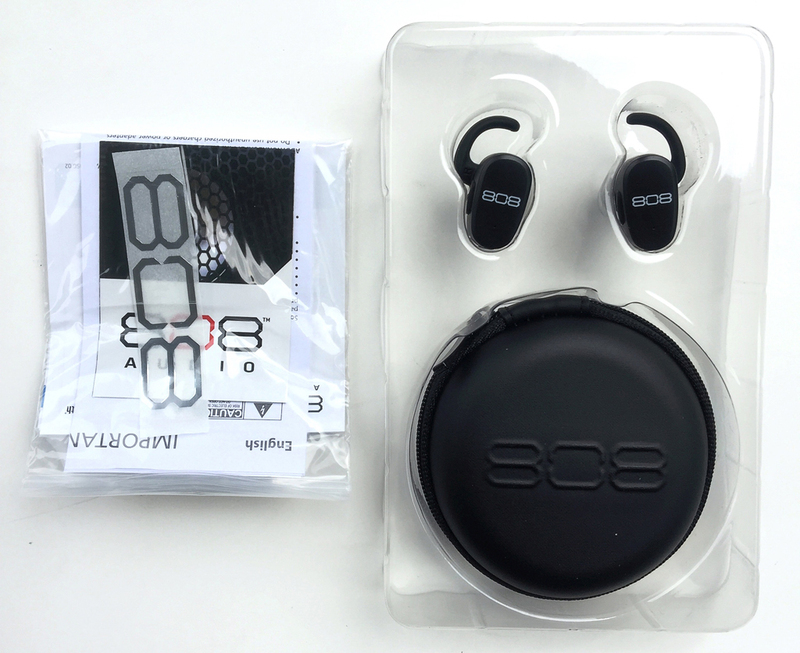 The charging port covers are connected to the earbuds via a small silicone tether that is integrated into the cover itself. 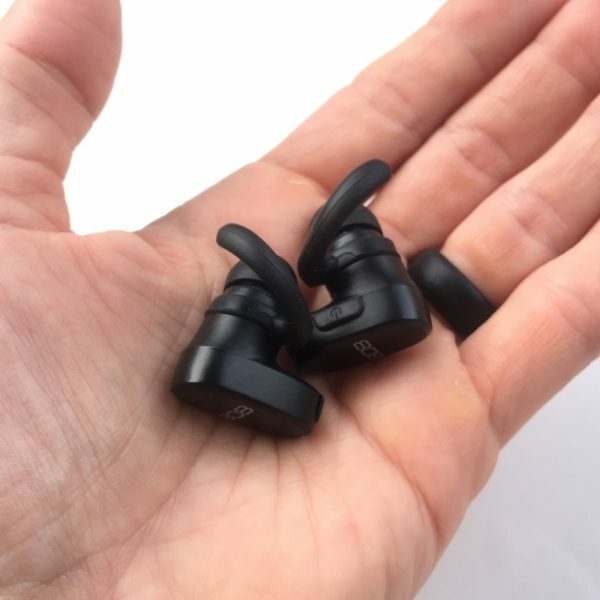 These silicone covers are easy to pop open with a fingernail, and the tether seems very robust—I wasn’t nearly as concerned about the tethers getting torn off and losing the covers as I have done with other earbuds, unfortunately. Above, I’ve connected the charging cable to the earbuds. This cable is basically a “Y” cable, with two mini-USB connectors, one for each earbud, at one end and a single standard USB at the other end. 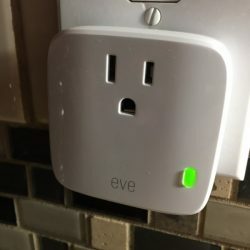 Just plug the standard USB end into any powered USB connection (your computer, a USB wall adapter, etc) and the earbuds will begin charging automatically. I was actually a bit surprised that 808 Audio chose to go with this “Y” cable for charging these earbuds. Many companies producing higher-end earbuds in a similar price range to these EarCanz TRU earbuds also provide a charging case. I suspect that this “Y” cable is less expensive than a charging case, but if so, I would have expected these earbuds to be a bit less expensive as a result of this cost savings. 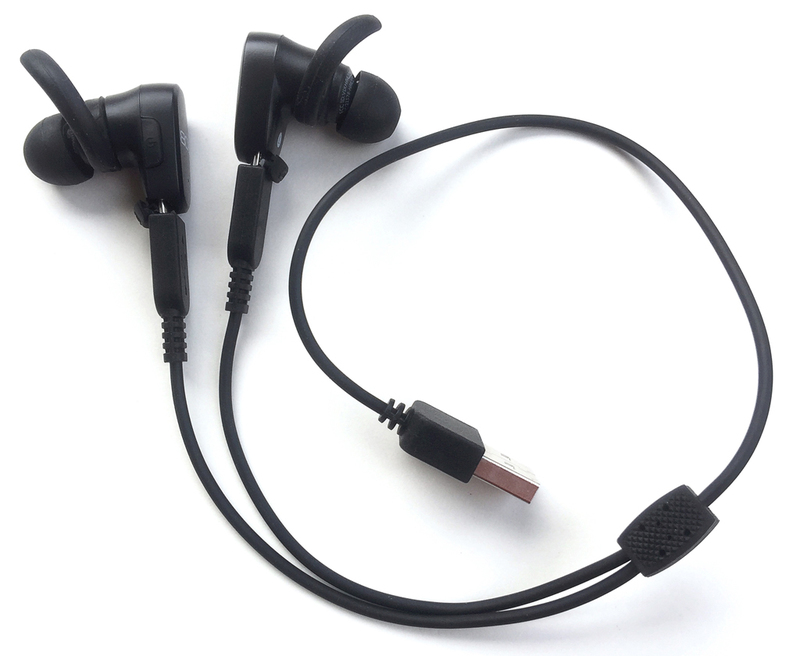 Above, the micro-USB charging cables are plugged into the charging ports on each of the earbuds. It took about an hour to fully charge these earbuds, which I didn’t think was all that bad. Playback time on a full charge was decent. 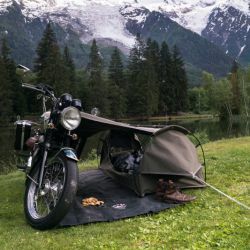 On one occasion, I went out for a long ruck (a fast walk wearing a weighted backpack) of over three continuous hours in duration, then came home and mowed and trimmed the lawn. In all, it was almost four hours of continuous use, and they kept right on chugging. During charging, a tiny LED glows read on each of the earbuds. 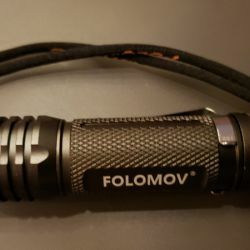 Once charged, the color of the LEDs changes to white. There is a bit of a process that must be followed to turn the earbuds on, basically right first, then left. First, a 3-second long press on the right earbud’s button will turn it on. 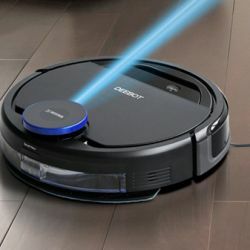 Once powered on, you will hear a voice prompt announce, “Power on.” Next, a long press on the left earbud’s button to turn it on. Shortly after that, the right and left earbuds will announce, “Right connected,” and “Left connected.” Boom, just like that, you are ready to go. 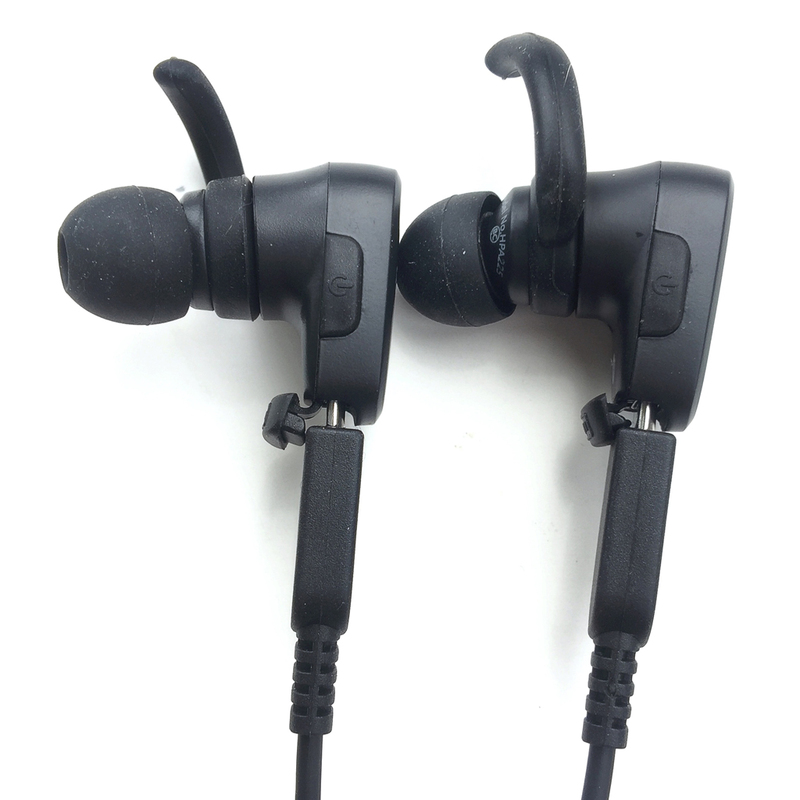 While these earbuds are not the smallest on the market, they are fairly small, and they are quite lightweight. Pairing these earbuds was simple and quick. I powered on the earbuds, then went to my iPhone’s “Bluetooth” settings, looked for “808 EarCanz TRU,” and selected it. 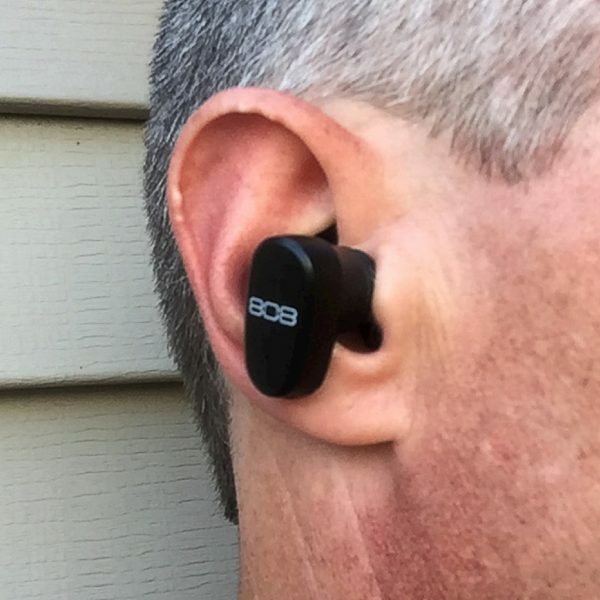 Once paired, a voice prompt announced, “Device connected.” I never had to pair the earbuds again, as they always re-connected automatically once they were both powered on, and that’s more than I can say for some other wireless earbuds I’ve tried. 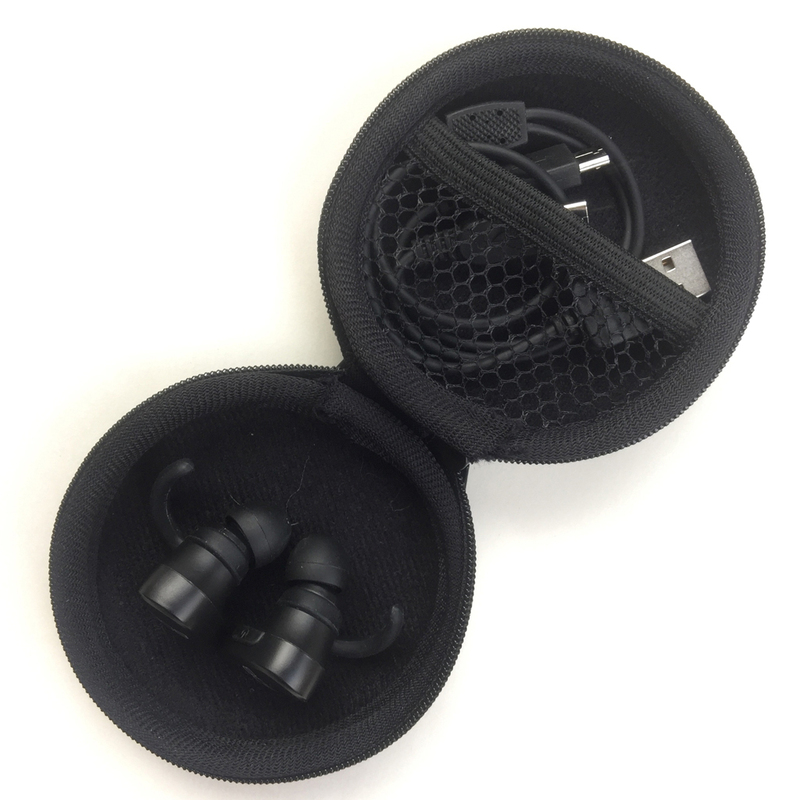 Included with these earbuds is a molded, semi-rigid case with a zipper closure. 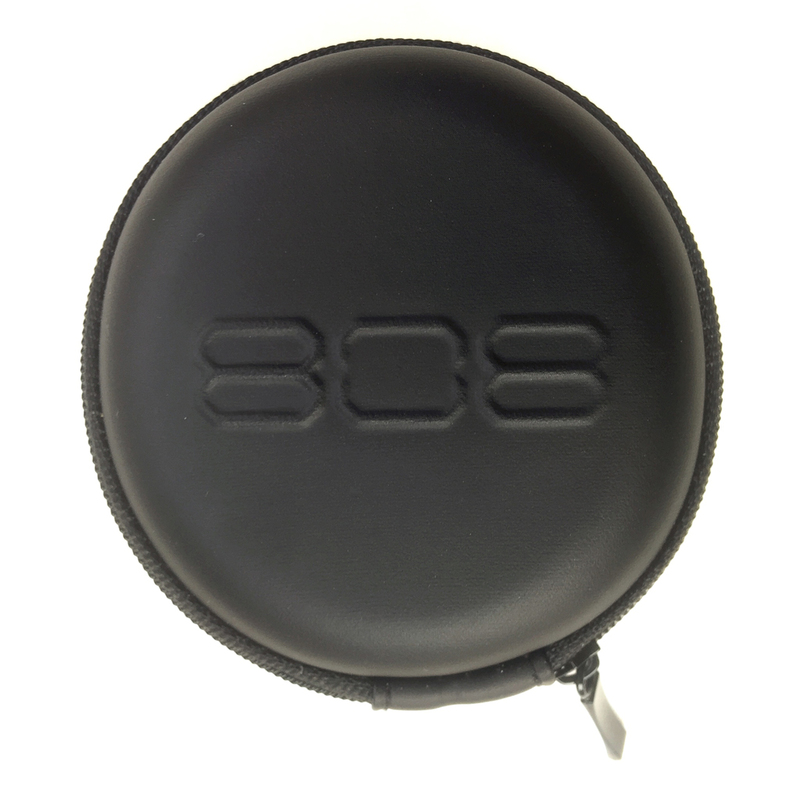 The case has room for the earbuds, and the charging cable can be tucked into a small elastic mesh pocket in the lid. The case is quite protective and could maybe even be a little smaller and still have plenty of space for the earbuds and the charging cable. How did they fit in my ears? Actually, they fit quite well, as long as I used the largest size of silicon tip. As can be seen in the images above and below, these earbuds do stick out of my ears, but only a bit. Sound quality was acceptable, but earbuds of this style typically aren’t expected to be sonically symphonic reproduction masterpieces. I oriented them in my ear such that the “808” logo was horizontal, and thus properly and easily readable, and in doing so, the “lobed” portion of it pointed down. This seemed to help stabilize them in my ear a bit since gravity was generally helping them stay put. Above, you can just see one of the large size ear “fins” curling upward in my ear. I basically twisted these up and into the contour of my outer ear, which really helped to keep these earbuds anchored in my ear during strenuous activities. 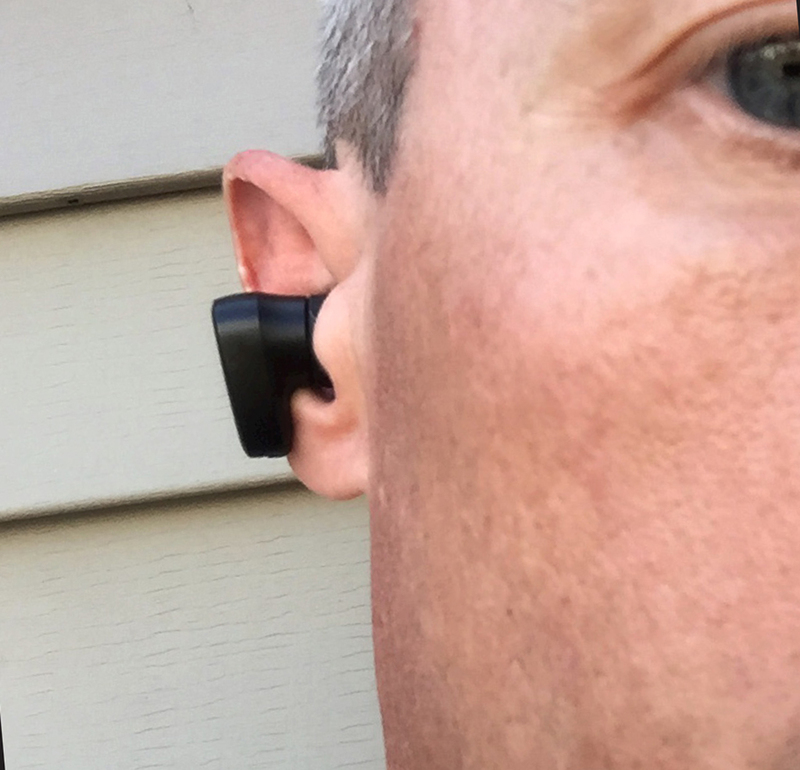 That said, once I really started sweating, the silicone tips did tend to work themselves out of my ear canals, but the earbuds themselves never actually fell out/off, which I credit largely to these “fins” keeping them in place. They also seemed to be fairly resistant to sweat. I sweat buckets when I work out and it didn’t seem to affect these earbuds much at all. Also, I did try the larger ear “hooks,” but they didn’t work for me at all—they were too big and loose and didn’t hold the earbuds in place. 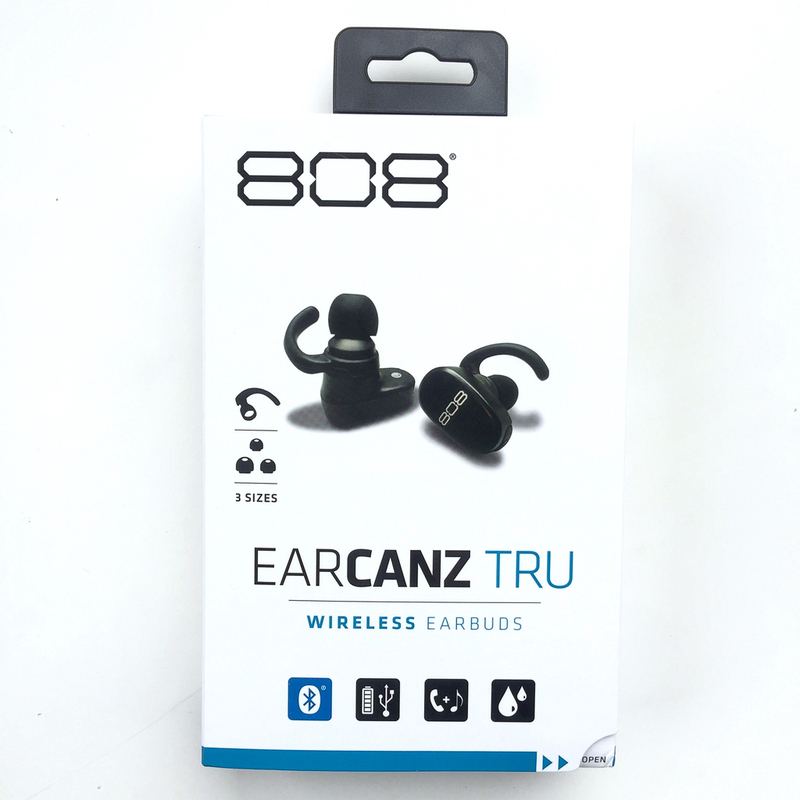 I really like the 808 Audio EarCanz TRU Wireless Earbuds Review. They are fairly small and very lightweight, and I think this combined with their ear “fins” helped to keep them in my ears during strenuous exercise better than any other comparable earbuds. Their opposing button configuration is a bit confusing, but I got used to them quickly, and the audio and phone controls are fairly straightforward (though there is no on-board volume control). They also seemed to have no issues with the high amounts of sweat produced by yours truly. While sound quality was decent, callers did have a difficult time hearing me. 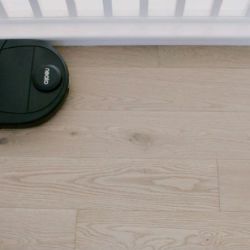 On a full charge, they lasted nearly four hours continuously. 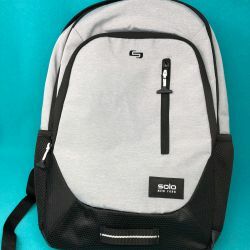 Finally, their carrying case offers plenty of space for their Y-style, micro USB dual charging cable as well as the earbuds themselves and is very protective. While they are not perfect and a bit on the pricey side at $79.99, to me their benefits outweighed their imperfections. The 808 Audio EarCanz TRU Wireless Earbuds are worth a look if you are in the market for a pair of wireless earbuds for exercise or even lower-demand everyday use. 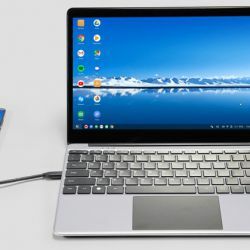 Source: The sample for this review was provided by 808 Audio. 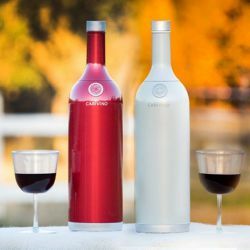 For more info or to order, visit their site. My son gave me the 808 as a gift problem is I don’t know howbto make it work. Can someone plz help me? 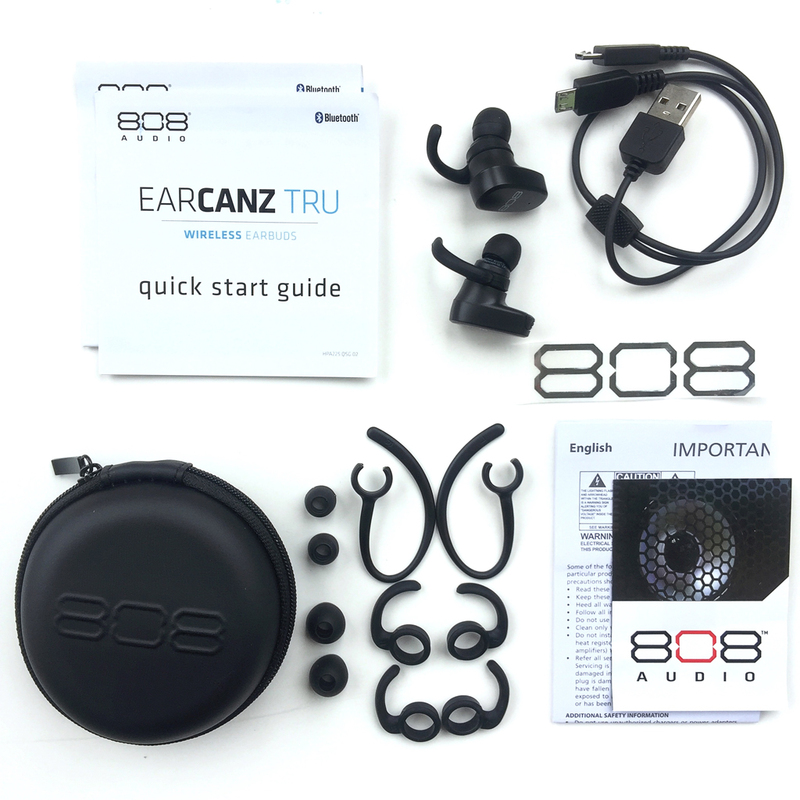 The 808 Audio EarCanz TRU Wireless Earbuds include a Quick Start Guide. I would recommend starting with that. Hi. Can you just use the left ear only without listening to the right? 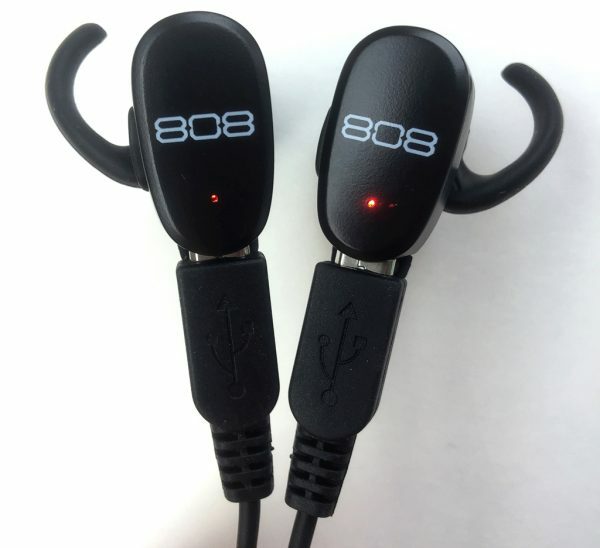 Are you you able to buy the charging cable as a replacement part for the 808 Audio Ear Canz Tru Wireless Ear buds? Please get back to me and let me know. I’d recommend contacting 808 Audio with your question. 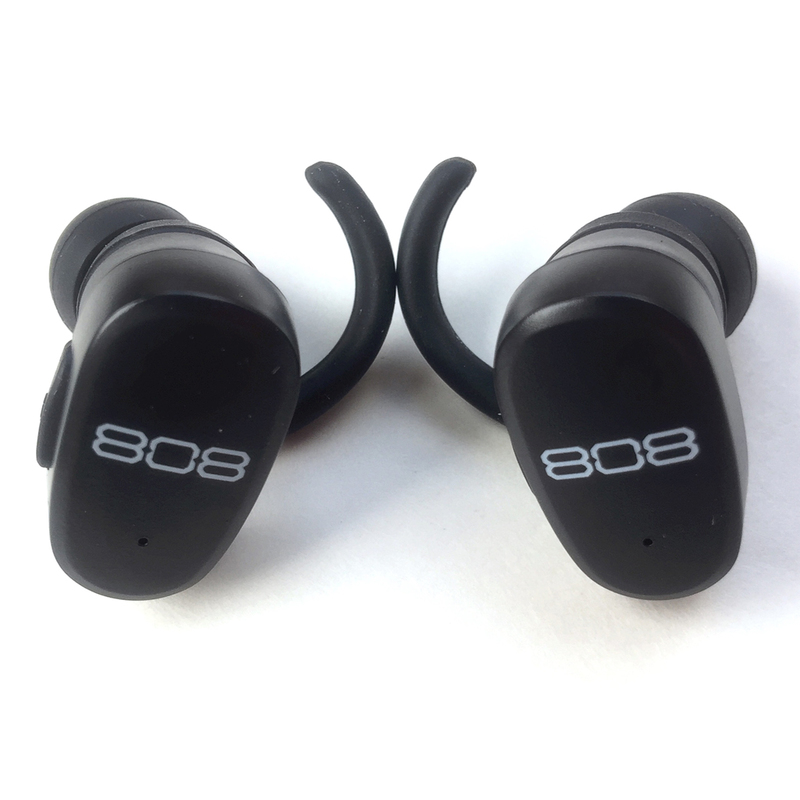 I have a 808 wireless bluetooth earphone but only 1 one can connect into bluetooth how about the other one? I cant connect the other one ?? 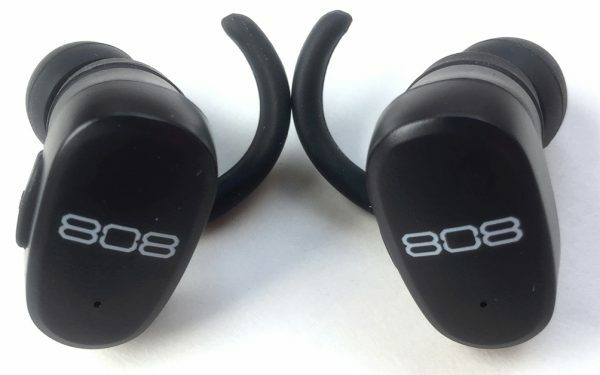 I’m not tech support for 808 Audio, buy you may want to un-pair both of the earbuds and then re-pair both of them. If that doesn’t help, I would contact 808 Audio with your question.